We can all agree that the best part of any meal is dessert. But why spend a small fortune on your favourite desserts at an over-priced restaurant when you can make them for a fraction of the price at home? A real hit on the latest season of Come Dine With Me South Africa, this recipe for Churros with chocolate dipping sauces is a true testament to home cooking. 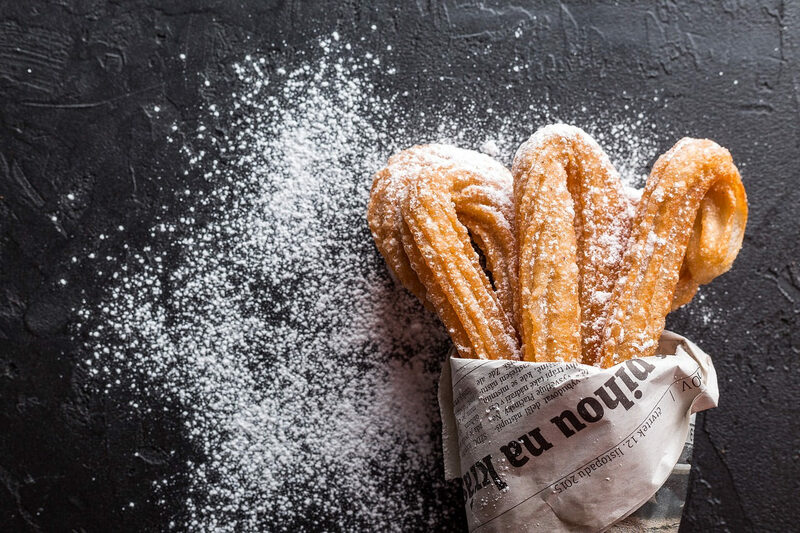 Contestant Maegan Frans impressed her guests with a three-course Mexican feast featuring flavour packed jalapeño poppers to start, and a trio of tasty tacos for mains, but it was these moreish churros that really caught our eye! For the three dipping sauces, melt all 3 types of chocolate and set aside. 1. In a small saucepan over medium heat, combine water, 2 ½ tablespoons sugar, salt and 2 tablespoons vegetable oil. Bring to the boil and remove from heat. 2. Stir in flour until mixture forms into a ball. 3. Heat oil for frying in deep-fryer or deep skillet to 190 degrees Celsius. 4. Pipe strips of dough into hot oil using a pastry bag. Fry until golden and drain on paper towels. 5. Combine ½ cup sugar and cinnamon and roll the drained churros in the cinnamon and sugar mixture. 6. Serve with ice cream and the chocolate dipping sauces. To catch more TV dining action tune into the series repeat of Come Dine With Me South Africa on BBC Lifestyle (DSTV channel 174) on Tuesdays at 21:00. Want more great recipes? Shop for a wide range of cookbooks online via PriceCheck now! While you’re in the kitchen why not also try this recipe for Cheats Crème Caramel ? Click Through To Our Recipes & Cooking Section For More Great Fitness News, Reviews, And Features.